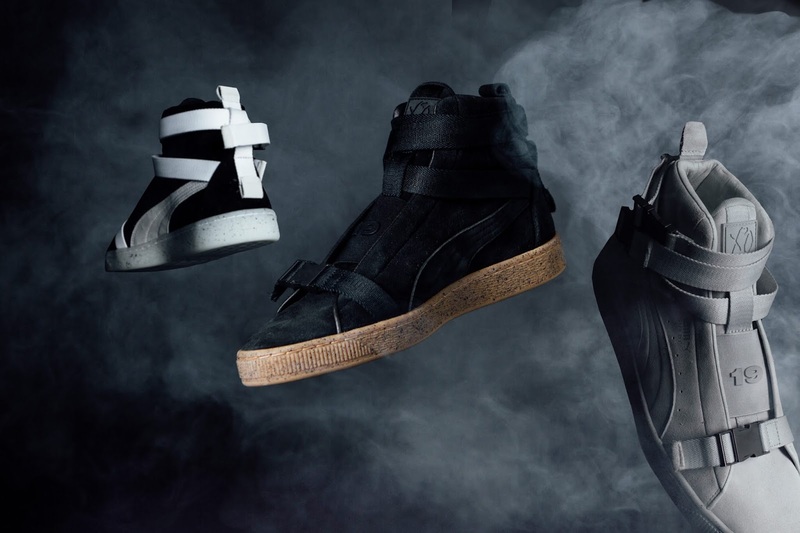 Puma doesn't quit! 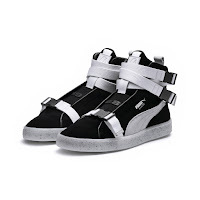 Why should they? They've been mashing together the world's of music & culture with sport and innovation for decades and it's always inspiring and provocative. 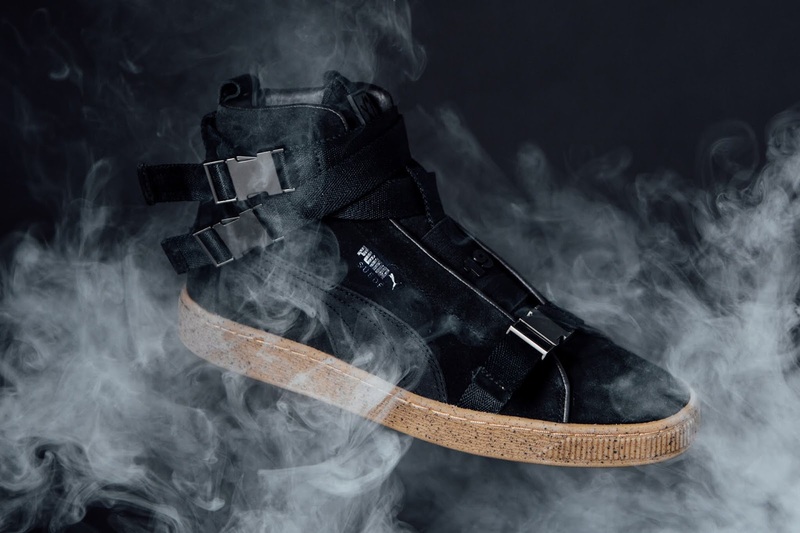 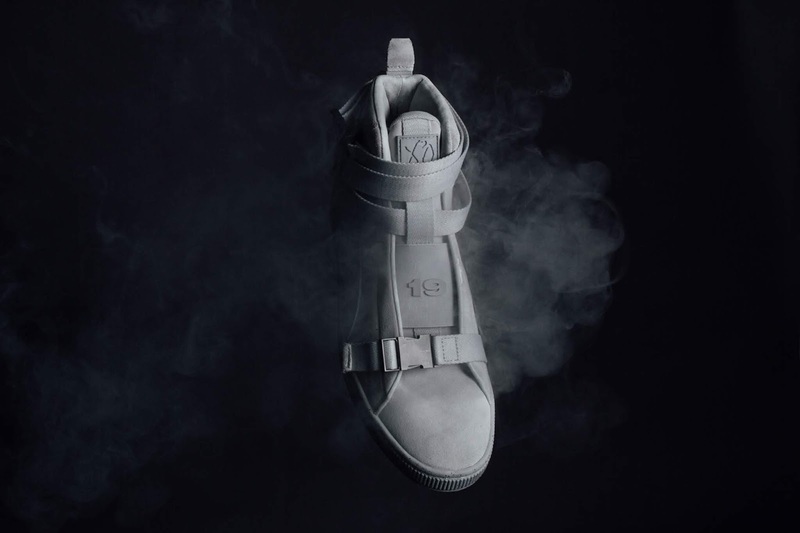 Here is a crisp shoe that's part of an on-going collaboration with the suave Canadian crooner The Weeknd. The Suede 50 x XO Mid Cut Boot reminds me of the beloved Puma Sky-Hi 2, however in the hands of The Weeknd, this mid-silhouette gives you classic and tech in one fell swoop. 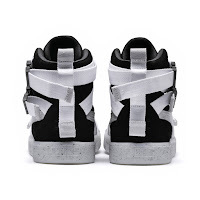 The pack comes in three options of a black suede & white suede both with tonal trim and black suede with white trim. 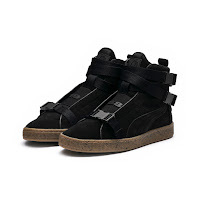 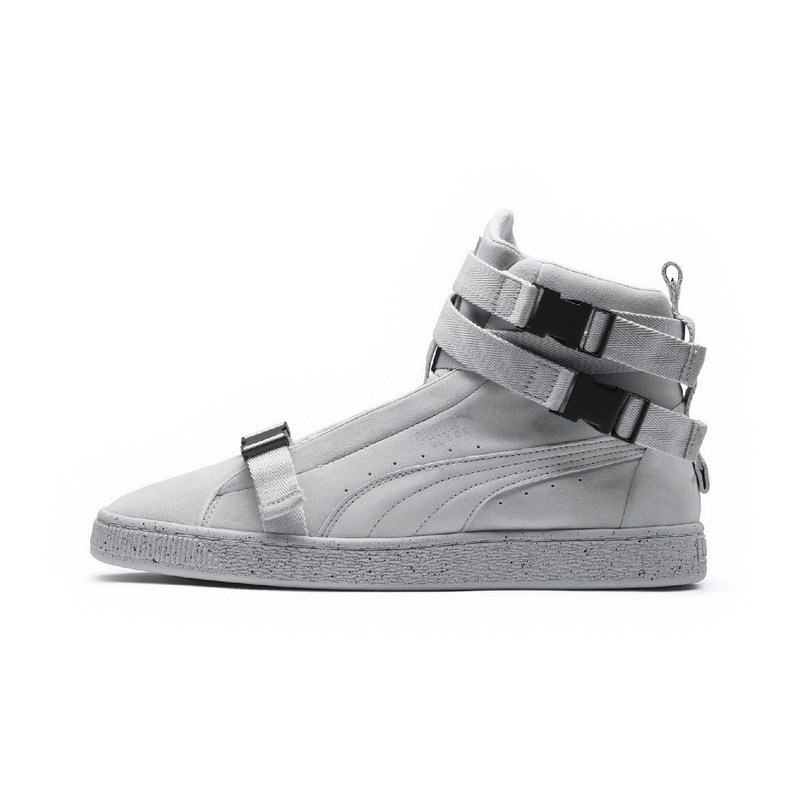 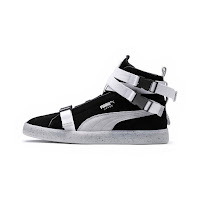 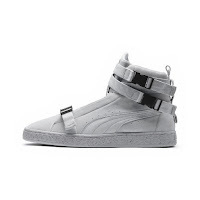 Details like twill banding with black metal side-release closures across the upper toe-box and double-wrapped across the throat give this pack a tech-military handsome edge while playing up the familiar classic cleanliness of the Puma Suede with the iconic leather Foamstrip. 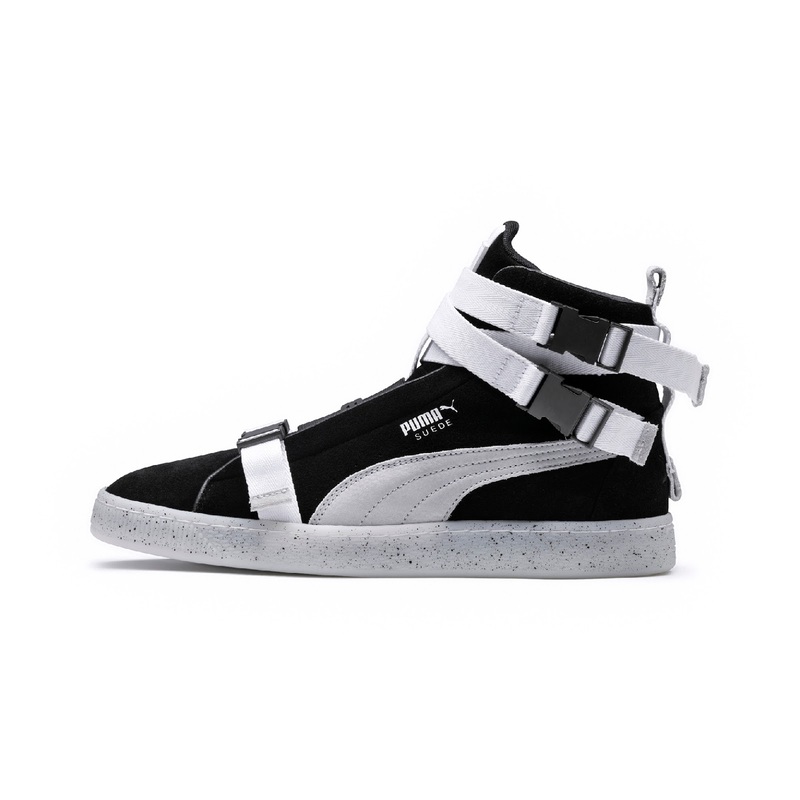 More unique details like the 19 and 68 on the respective tongues of each shoe in the pair together with the concrete speckled sole add a fresh cool-factor to this pack and make this a sure cop for sneaker-heads and Puma enthusiasts alike. 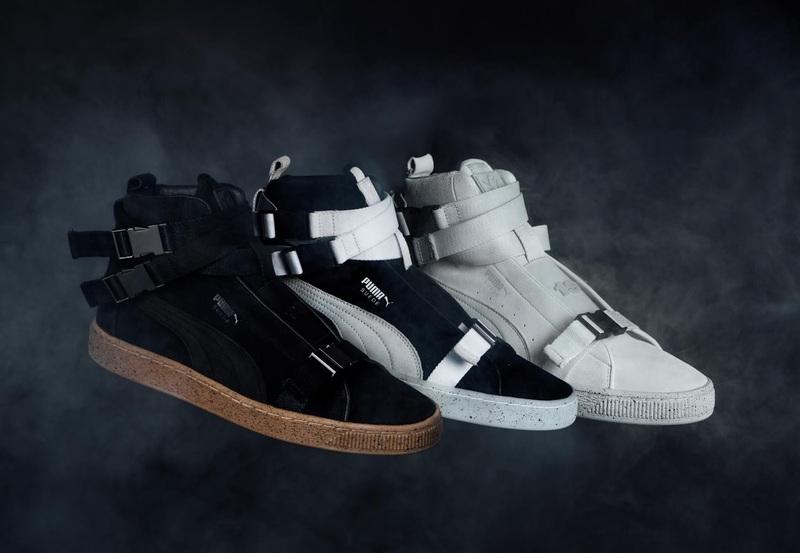 The pack is available tomorrow August 11th at select Puma retailers and on Puma.com.